What is it about Christmas that gets the creative juices flowing? Not sure if it's just me, but I do love creating, making and baking at this time of year, and am looking forward to the kids becoming more involved with crafty activities as they get older. 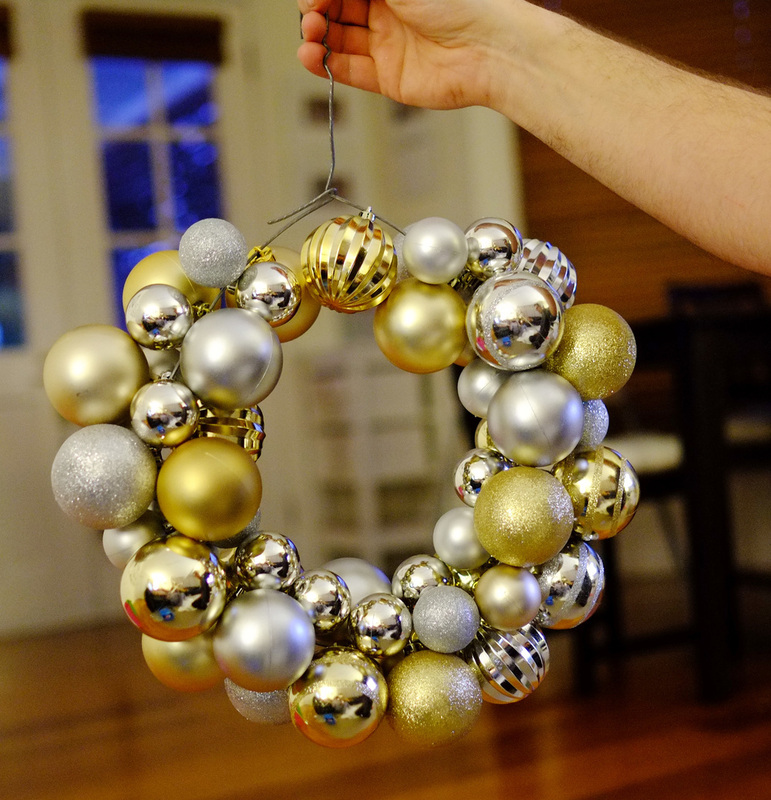 Last week I felt in need of a little project so I decided to make my own Christmas bauble wreath. Here's how I did it! My inspiration was this beautiful bauble wreath from Censational Girl. Isn't it pretty? I found this simple tutorial from Eddie Ross to follow, and it ended up being a fairly quick and easy project. 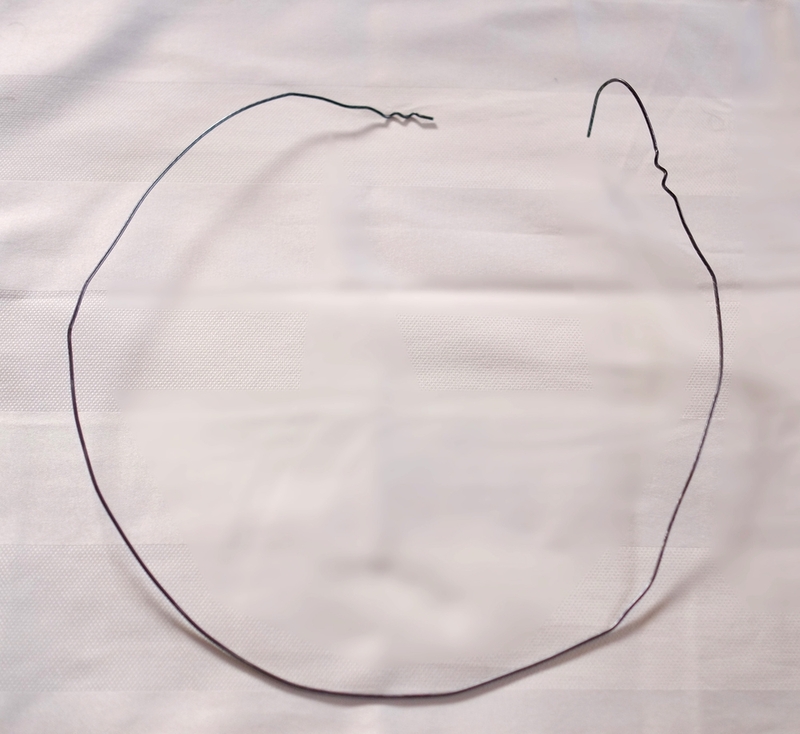 Start with a wire coat-hanger - preferably one that has thinner wire so it is easy to undo at the top (use pliers if necessary) - and shape it into a circle. Next grab a collection of assorted baubles. Our tree is decorated in gold and silver this year so I decided to carry the colour theme through to the wreath. 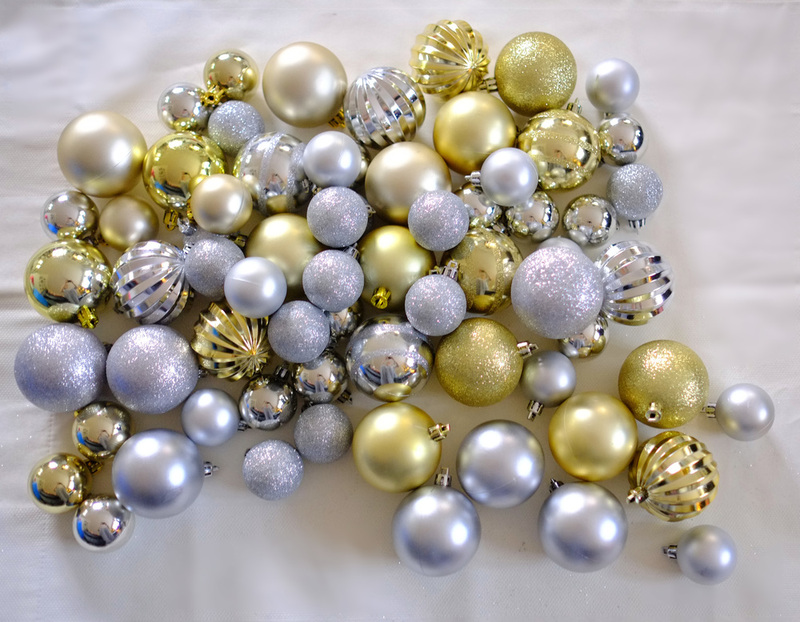 I grabbed a few boxes of baubles in varying sizes at Kmart in these two colours and spread them out on the floor. The next step was a bit fiddly but well worth it to prevent drama further on in the process! 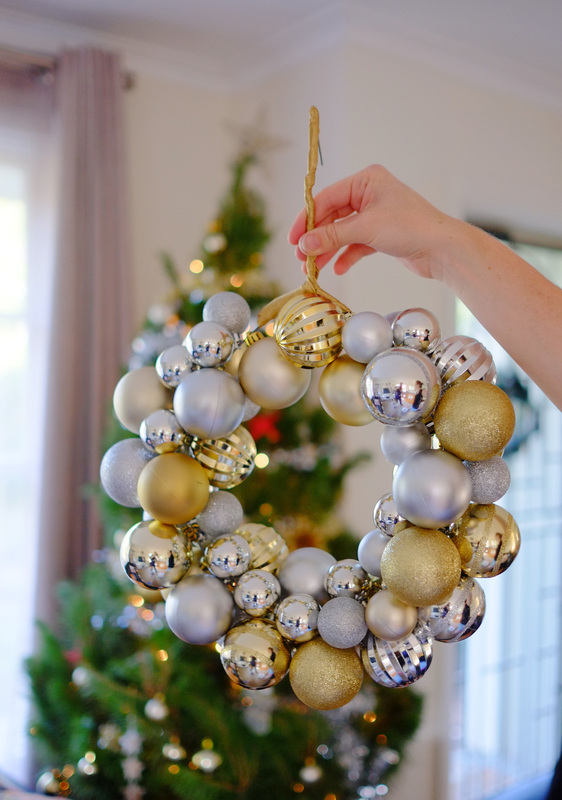 Use a hot glue gun to attach the metal cap to the top of the ornament. 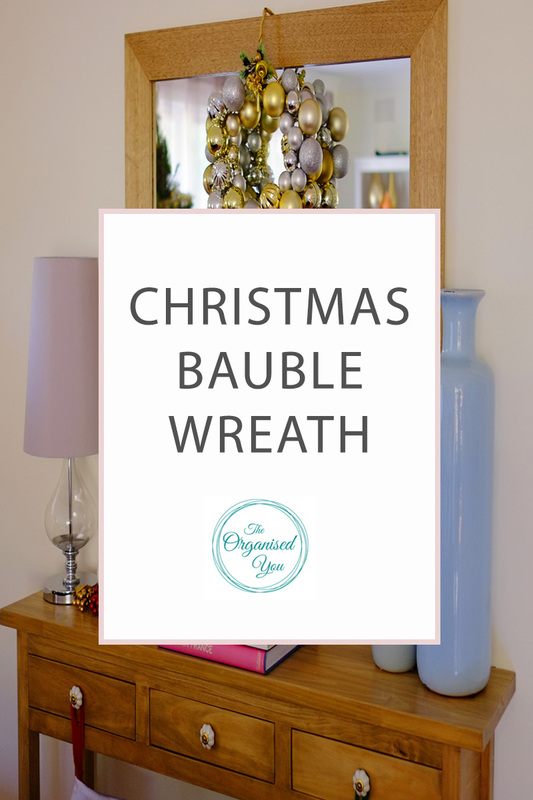 If you skip this step, your baubles will probably fall off when you are trying to attach them to the wire. Most caps were attached, but quite a few weren't, so it was worth the effort to check. 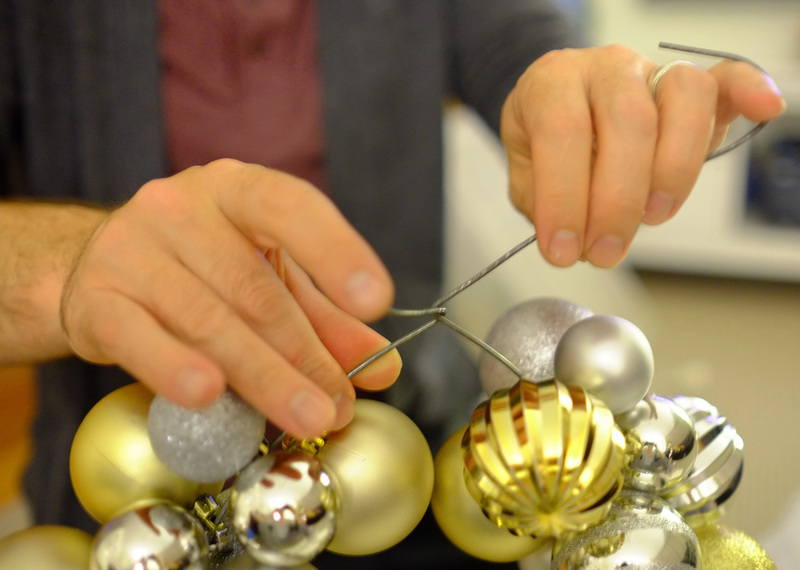 Once you've got your hot glue on, it's time to start sliding the ornaments onto the wire. I tried to alternate the textures and colours of the bigger ornaments, and then popped the smaller ones in between to fill the spaces. This probably only took around 5-10 minutes. I then got hubby to twist the wire at the top so it was all secure and as round as possible! Because you could still see the wire, I wound on some gold ribbon so it would blend in with the bauble colours. I tried tying on the ribbon both at the top of the wreath, and the top of the wire, but it wasn't working for me, so I attached some fake holly with gold embellishments at the top and called it a day! 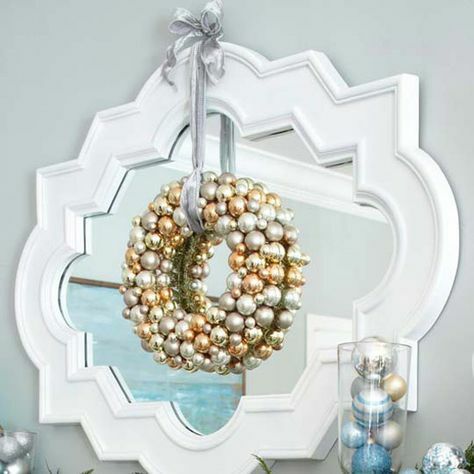 Because the wreath had the coat-hanger hook, it easily hung over the top of the mirror. Love the sparkle it adds to our console table when you walk in the door, and the reflection of the tree lights in the mirror. 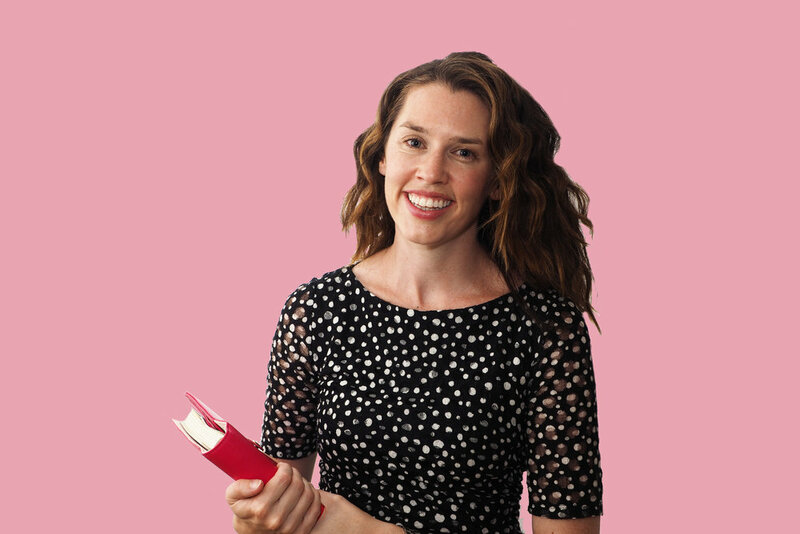 Too pretty, and a relatively easy project!